In 2015 A.D. nearly 12000 parsecs from Earth, Earth's first faster than light fleet is under attack. As the fleet faces total destruction, there is only room for one more passenger in the escape craft. Admiral Takaya puts an unwilling and injured Ota aboard the last craft. As the escape ship leaves, Takaya stands aboard his bridge looking at a motion photo of his daughter. "Daddy! please come home by my 8th birthday!" "Noriko... I am sorry," Takaya says as the remains of his fleet are vaporized. Episode 2 - Daring! A Genius Challenger!! En route to the Silver Star space station, Noriko learns her first lesson in space. As they pass the unfinished battleship Exelion, she comments on its small size only to be corrected as the journey nearer. The Exelion is really enormous, dwarfing everything near it! Once aboard the space station, Captain Tatumi Tasiro of the Exelion introduces himself to Noriko and Kazumi and introduces Jung Freud, a genius space fighter from the Soviet Union. Immediately there is tension between Jung and Kazumi, the two best pilots in TOP. Noriko can only stand to the side looking the exchange of Kazumi and Jung's powerful glares. Tasiro speaks to the members of TOP in a large hall aboard the station. In seven months, the Exelion will be finished and mankind will launch its counterattack against the cosmic monsters. The situation is grim. If the campaign against the aliens fails, all of humanity is doomed. In the meantime, the members of TOP will continue with intensive space exercises overseen by Coach Ota. During a simple exercise near the moon, Kazumi is challenged to a duel by Jung. Kazumi accepts and the battle begins. Kazumi and Jung are evenly matched and their battle soon leads them to the unfinished superstructure of the Exelion. 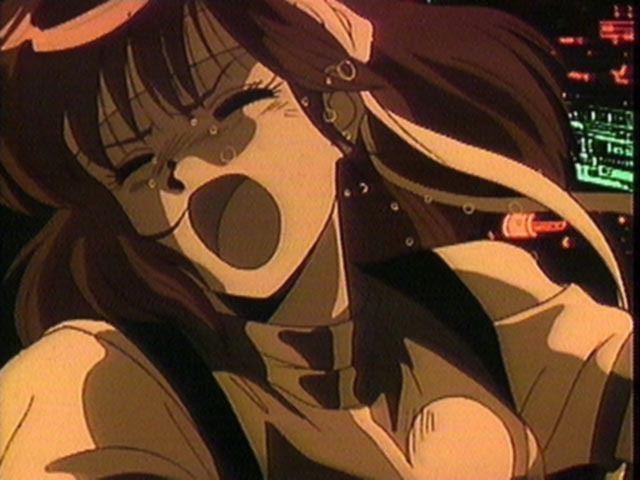 As the furious action continues, Noriko struggles to keep up with the two combatants. The battle is brought to an end when they stumble upon the body of a dead alien held within the Exelion. As security alarms go off, Noriko wonders about the creature whose race killed her father. All she can think of is the memory of her father's return for her sixth birthday. 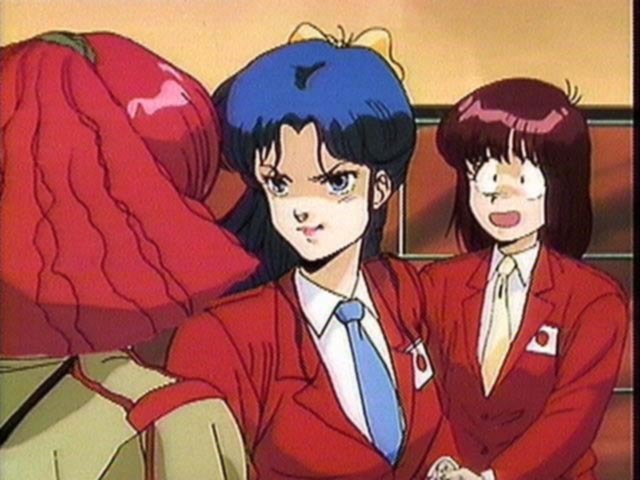 After the incident, Kazumi and Noriko are reprimanded by Coach for not following orders and engaging in battle with Jung. One more incident like their unauthorized battle and they will find themselves in prison. Afterwards, Jung apologizes to Noriko and Kazumi for getting them into trouble. To show that there are no hard feelings, she invites both of them to her birthday party in two months' time. To Noriko's surprise, Jung's birthday is the same as her's. While on the topic of birthdays, Jung expresses interest in Coach Ota's birth date and in him. Coolly, Kazumi reveals that his birthday was the day before. Meanwhile, an object traveling just under light-speed is detected on its way through the solar system. Since it will pass near to Neptune, the mysterious object is close enough to investigate. 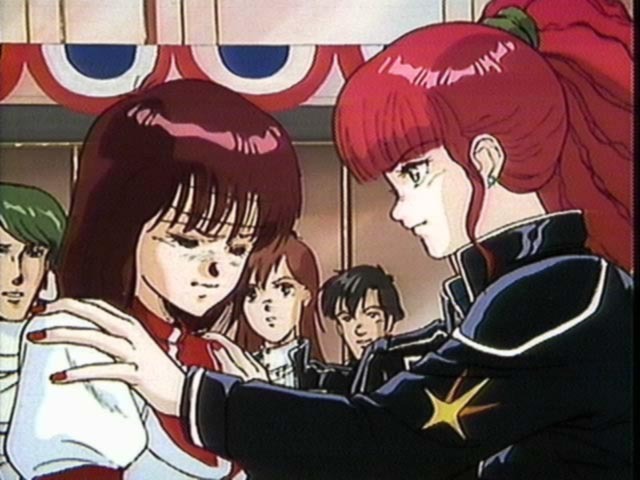 Coach Ota suggests that Noriko and Kazumi be the ones to rendezvous , citing that as Gunbuster pilots they need experience at near light-speed travel. As Noriko and Kazumi prepare to rocket off to intercept the object, Coach warns them of the dangers of traveling so close to light speed. If they delay mere minutes in their operation, months of Earth time will be lost. The pair depart with Coach to launch and catch up soon afterward. With incredible acceleration, they two quickly meet up with the object. The mystery is solved as the object is in fact a ship. Not just any ship but the Lukushiyon, the ship commanded by Noriko's father! 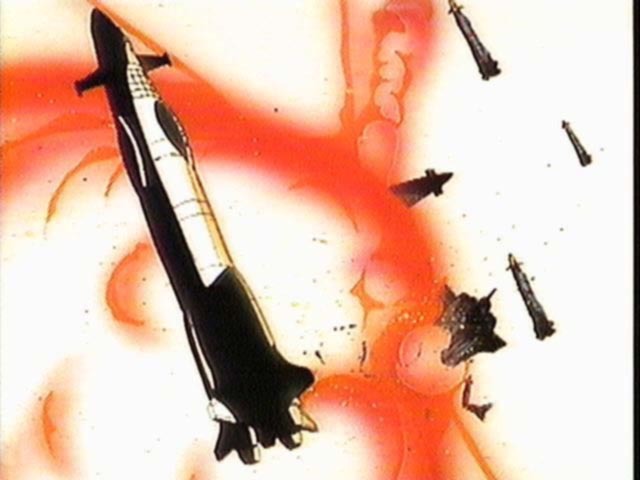 Almost without thinking, Noriko leaps from her booster rocket and boards the Lukushiyon in search of her father. Once inside she sees a ships chronometer and realizes that only two days have passed aboard the ship. Filled with the hope her father is still alive, she begins to head for the bridge. Coach Ota catches up with the Lukushiyon and Kazumi. While Kazumi waits outside, still being boosted to nearly light-speed, Coach boards the Lukushiyon in search of Noriko. As the Coach begins to follow Noriko's path, precious seconds tick by, days pass back on Earth. 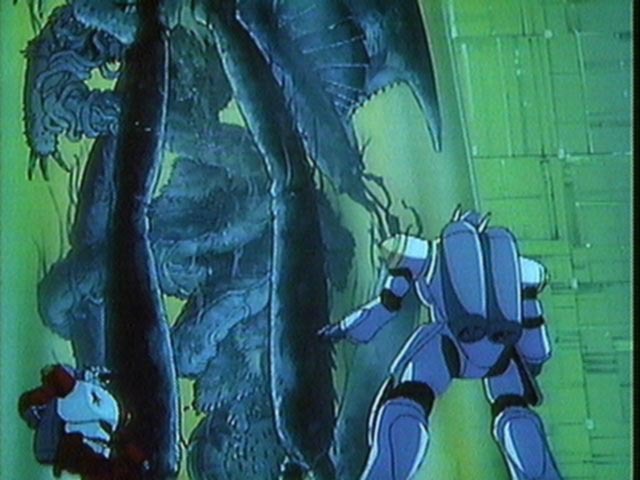 Noriko reaches the bridge only to discover it was vaporized in the attack years ago. She cries in agony as the last hope of her father being alive disappears. Coach Ota reaches Noriko and pulls her back outside to his waiting craft. 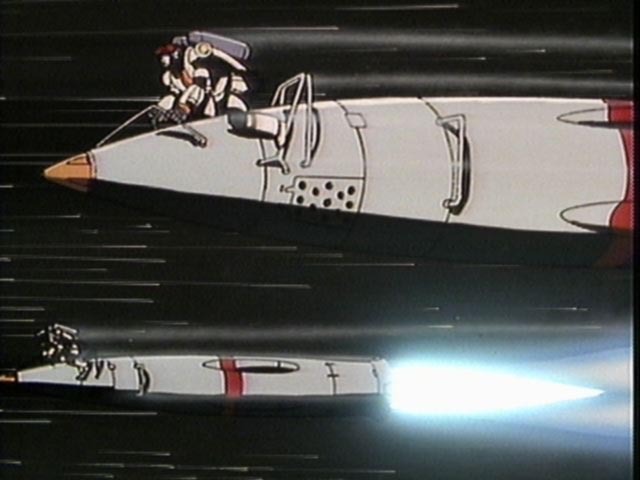 Once safely aboard with Noriko, he and Kazumi begin their deceleration, leaving the remains of the Lukushiyon to continue on its final journey. On earth, six months have passed since the Coach, Noriko and Kazumi left for the Lukushiyon. The Exelion is completed and all of TOP are in the midst of celebrations. Yet less than an hour has passed since the three had left, met with the Lukushiyon and returned, spending only a few minutes near the speed of light. Alone, Noriko says good-bye to her father; he had came home for her birthday one last time. She thinks back to when she was young and wanted to go into space just so that she could be with her father.